Sunrise greeting all 10k runners at SCMS 2015. I am a late bloomer as far as running is concerned. 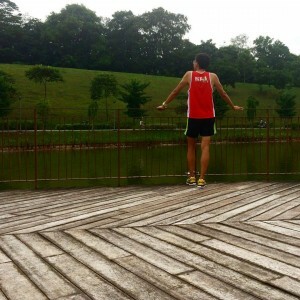 My previous post chronicled my first HM experience and also briefly mentioned how I started my running journey. 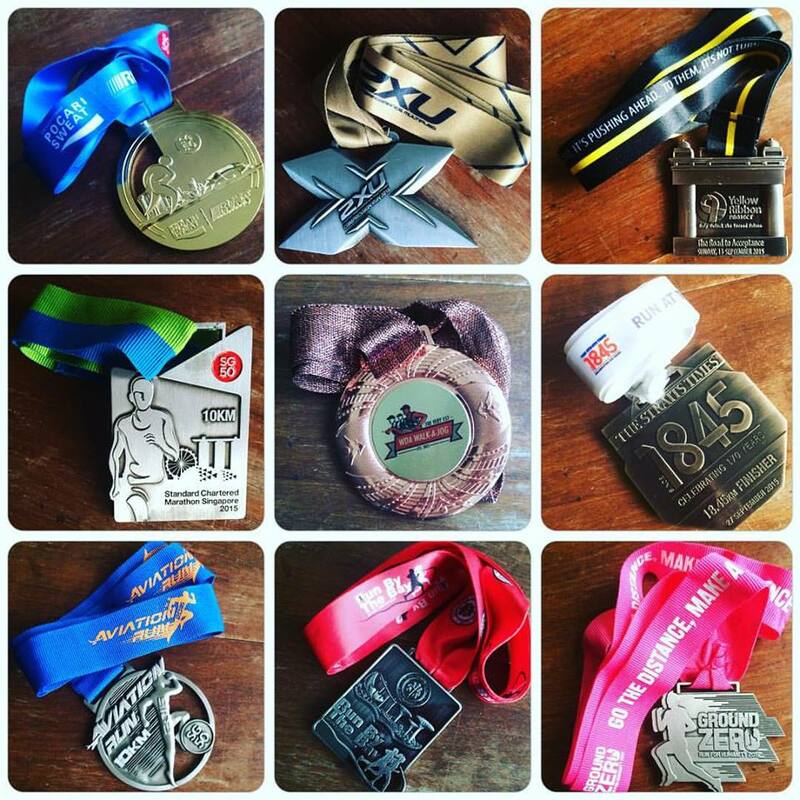 Like many other runners, I also reflected on my runs and races in 2015. It was a pivotal year for me. After a year of running, I had a modest haul of medals and collected a few finisher tees; not forgetting clocking some personal best timings. Here is a quick summary of 2015. For more than 5 decades, running wasn’t my forte. Then in 2014, I made an important decision to sign up for SCMS2014 – my first official race ever. It became a turning point in my life. But then, being a senior beginner, I was looking for resources to help me take up running as a serious sport. I could not look to my friends for help as most are somewhat physically inactive; let alone run or jog. I trawled the Web for good running resources but these were few and far between. 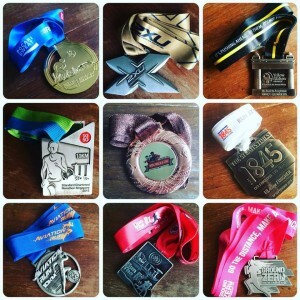 So, my 2015 running journey was one of trial and error. 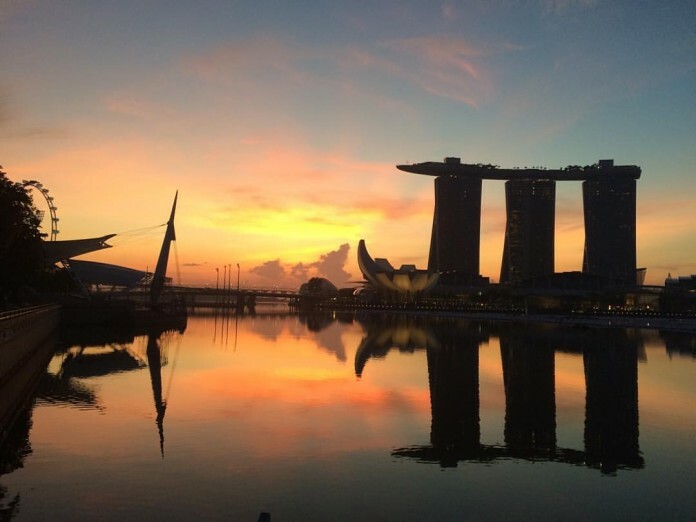 After a year of hits and misses, here are 10 lessons (there could be more) I learnt that may be of help to the more senior folks who are contemplating taking up jogging/running this year. You can actually teach your body to run – educate it. You can run longer than you think you can – start slow and short. You can run without music in your ears – listen to your body. You discover that 10km is a recovery run – run long and easy. You need to refuel and hydrate during your long runs – have a strategy. You can improve even when you are senior runner – read up and resource yourself. You can enjoy and run injury free – do your research. You need to space out your runs – watch your recovery. You get to try different running routes – add variety to your runs. You need to choose your races – enjoy running company. So you see, it is still possible for someone who is in his fifties to start running. For those of you who are still hesitant about running in your senior years, I trust that my sharing can help encourage and prod you along. Not only will it transform your life, it will also make you fitter and leaner! But do your homework first; consult your doctor if you need to. Lace up your shoes, gear up and hit the road with youthful gusto . Running will make you feel young again! But above, stay injury-free so that I can all run into my golden years – literally. Blessed New Year & 2016 to all fellow runners – run happy, run safe and just run lah!